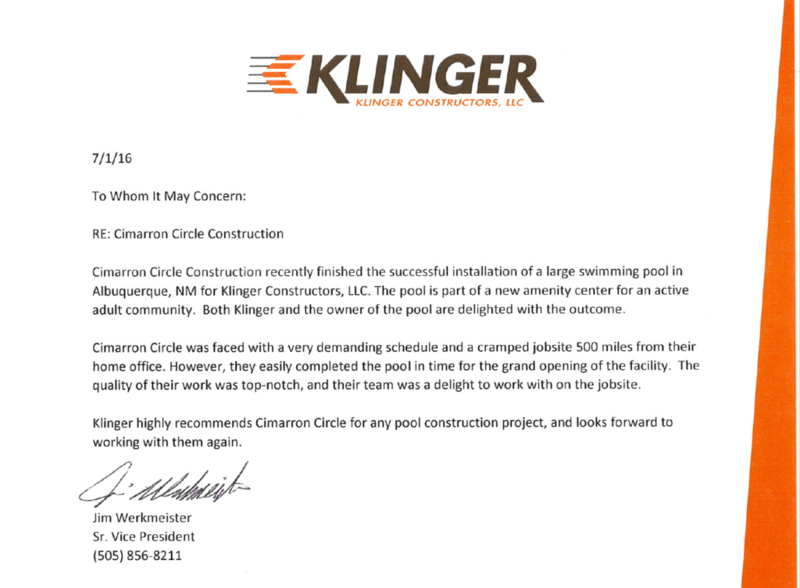 In a letter dated July 1, 2016, Jim Werkmeister, Sr. Vice President of Klinger Constructors, LLC praised Cimarron Circle for the successful completion of a pool construction project carried out by Cimarron Circle under Klinger. 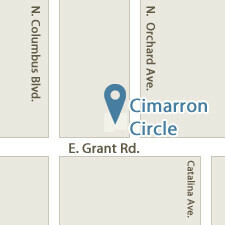 Cimarron Circle was under tight deadlines and operating 500 miles from our home base in Tucson, AZ. The difficulty of the construction project was compounded by the number of workers present on the site at all times during the construction of the pool. The successful outcome of this commercial project underscores the value of working with a pool contractor with a long history of success in both the residential and the commercial pool building market. 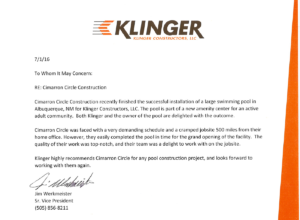 Cimarron Circle takes great pride in the quality of its workmanship, the excellence of its team of engineers and pool specialists, and its capability to complete projects on schedule and on budget. the owner of the pool are delighted with the outcome. and their team was a delight to work with on the jobsite.